Flexible and efficient machine translation for medium-sized businesses using neural nets. 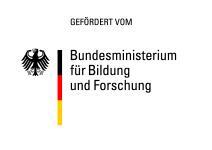 Since December 2012 the German Federal Ministry for Economic Affairs has funded the project FlexNeuroTrans (Flexible and efficient machine translation for medium-sized businesses) of Lingenio in the framework of the ministries central innovation programme for medium-sized businesses. The project has been started in December 2012. It pursues the purpose to offer translation services which, at short notice and on demand, permit to develop and integrate new language pairs for the customer, considering his terminology and translation standards and, based on this, translate customer-typical texts in good quality. With the services that are on the market so far this is not possible in a satisfactory way. Therefore a new method with neural nets, using statistical machine translation shall be developed and brought to a satisfactory product in the end. Statistical machine translation (SMT) is cost-effective since it is only little labor-intensive and can be made available for new language pairs after comparatively short periods of development and training. The quality is quite good today, if very large quantities of translation data are available as training data, but not with scarce data (so-called ‘sparse data problem’). However, recently good results have been achieved in the area of speech recognition even in this case, by using so-called recurrent neural nets. In the project this method is integrated into a SMT setting and further optimized by making use of features from so-called rule based machine translation (RBMT). FlexNeuroTrans enables Lingenio to quickly offer domain-adapted translation systems for customers who need high quality translation for less common languages also and for company-specific information. For German press information please click here.